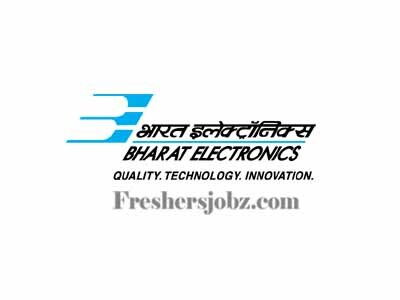 BEL Recruitment 2018.Bharat Electronics Limited, BEL has released a notification for the recruitment of Contract Engineer vacancies.Check the eligiblity and notification prior to apply for the positions. Educational Qualification: Candidates should have completed fulltime B.E / B.Tech in Electronics / Electronics & Communications / Electronics & Telecommunications / Communication / Telecommunication from a recognised institute / university. General / OBC candidates should have secured minimum 60% aggregate marks. SC / ST / PWD candidates should have secured minimum 50% aggregate marks. Educational Qualification: Candidates should have completed fulltime B.E / B. Tech in Mechanical from a recognised institute / university. General / OBC candidates should have secured minimum 60% aggregate marks. SC / ST / PWD candidates should have secured minimum 50% aggregate marks. Educational Qualification: Candidates should have completed fulltime B.E / B.Tech in Computer Science from a recognised institute / university. General / OBC candidates should have secured minimum 60% aggregate marks. SC / ST / PWD candidates should have secured minimum 50% aggregate marks. Educational Qualification: Candidates should have completed fulltime B.E / B.Tech in Civil from a recognised institute / university. General / OBC candidates should have secured minimum 60% aggregate marks. SC / ST / PWD candidates should have secured minimum 50% aggregate marks. 5. For all the posts all-inclusive consolidated remuneration is Rs. 23,000/- per month. Age: ) Upper age limit for all the posts is 25 years as on 01.09.2018. Upper age limit is relaxable by 5 years for SC/ST candidates, 3 years for OBC candidates and 10 years for PWD candidates. a) Upper age limit for all the posts is 25 years as on 01.09.2018. Upper age limit is relaxable by 5 years for SC/ST candidates, 3 years for OBC candidates and 10 years for PWD candidates. b) For all the posts General/OBC candidates should have secured minimum 60% aggregate marks and SC/ST/PWD candidates should have secured minimum 50% aggregate marks in essential Educational Qualification. c) For all the posts the period of the contract is one year from the date of joining. However, the same may be extended depending on the progress of the project and performance of the candidate. d) Only Indian nationals need to apply. e) The candidates who have not completed B.E / B.Tech need not to apply. f) Reservation for the reserved categories will be applicable as per Govt. Guidelines. g) BEL reserves the right to debar the candidate at any stage of selection process, if the candidature is not found suitable. h) Candidates claiming to be belonging to SC/ST/OBC/PWD category are required to submit the caste certificate/PWD certificate in the prescribed proforma (available in company’s website www.bel-india.in) issued by the prescribed authority along with the application. Caste certificate/PWD certificate in any other proforma or issued by an authority other than the prescribed authority will not be accepted. i) In case any university / institute following an evaluation system of CGPA / DGPA the candidate, wherever applicable, should submit percentage (%) conversion certificate issued by university / institution along with the application. j) Candidates desirous of seeking employment with BEL need to be medically fit as per Company’s pre-employment medical standards. k) Canvassing in any form will result in disqualification. BEL reserves the right to debar/disqualify any candidate at any stage of the selection process for any reason whatsoever. l) Candidates are required to possess at least one valid e-mail ID which is to be entered in the application form. Information pertaining to the written test will be sent to the shortlisted candidates only by e- mail to the e-mail ID which is furnished in the application. BEL will not be responsible for bouncing of any e-mail sent to the candidate. All correspondence will be through e-mail only. Applications without email ID will be rejected. i) Certificate / Marks Sheet issued by Board for Matriculation / Higher Secondary in support of proof of age. ii) All certificates (starting from Matriculation / Class X) in support of educational qualifications. (Candidates having part-time or correspondence course in prescribed qualification are not eligible). iii) Conversion formula for conversion of CGPA / DGPA / OGPA or letter grade to percentage, duly certified by the University / Institution, wherever applicable. iv) Caste certificate if the candidate belongs to SC / ST / OBC. v) Disability certificate if the candidate belongs to PWD category. vi) No objection certificate if employed in Government / Quasi Government and Public Sector undertakings. vii) Experience certificate if any. Selection will be through written test and interview. Call letters will be sent to the e-mail IDs of eligible candidates for attending the written test. Candidates will be shortlisted for interview based on their performance in written test. The written test will consist of objective type questions from subjects in respective discipline/specialization .Date of the written test will be intimated by e-mail in due course. 1. The duly filled in application along with the above said documents should be sent to Manager (HR), Bharat Electronics Limited, Post Box No.26, Ravindranath Tagore Road, Machilipatnam- 521 001, Andhra Pradesh on or before 10.10.2018. 2. Applications received after the closing date / without the above said enclosures will be summarily rejected. Last date for receipt of applications is 10.10.2018.